When you live in the middle of a beautiful desert landscape, it's sometimes nice to look out the window and see water; which is why lake homes in Scottsdale continue to be extremely popular and very highly sought after among home buyers in the area. Many of Scottdale's most exclusive neighborhoods and gated communities offer dramatic, man-made lakes that offer the perfect setting for basically any home buyer who loves spending time outdoors. Whether you're out on your back patio enjoying the warm Arizona climate or taking your dog for a walk around the peaceful and often times scenic lake setting, those in the market for a new home or condo will love the resort-style ambiance that Scottsdale lake homes for sale provide. Some of Scottsdale's most well-known lake communities include Scottsdale Ranch, McCormick Ranch, Lake Serena and Palo Viento, but many more subdivisions around town feature large ponds with homes scattered around that still provide a nice and pleasant view of the water. 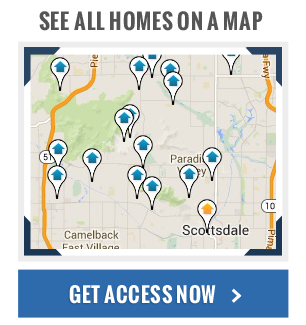 But given Scottsdale's dry desert climate, lake homes here can be somewhat limited, and of course come at a premium. In fact, most Scottsdale lake homes for sale price between $900,000 and $1.5 million, but every now and then, you might find something a bit more reasonable in terms of price. 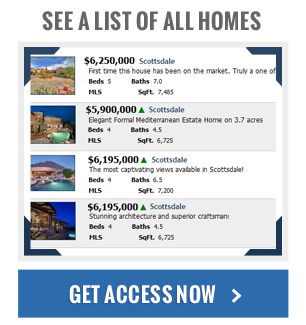 Regardless of your budget however, if you find a waterfront home in Scottsdale that you like, our best advice is to always act fast, as most lake homes in the area tend to sell at a very rapid pace.